Check out our tasty Apple Radish Fennel Salad. Does salad have to include greens? Nay, nay! Just slice some seasonal, raw vegetables, toss with a simple dressing, and you’ve got it! 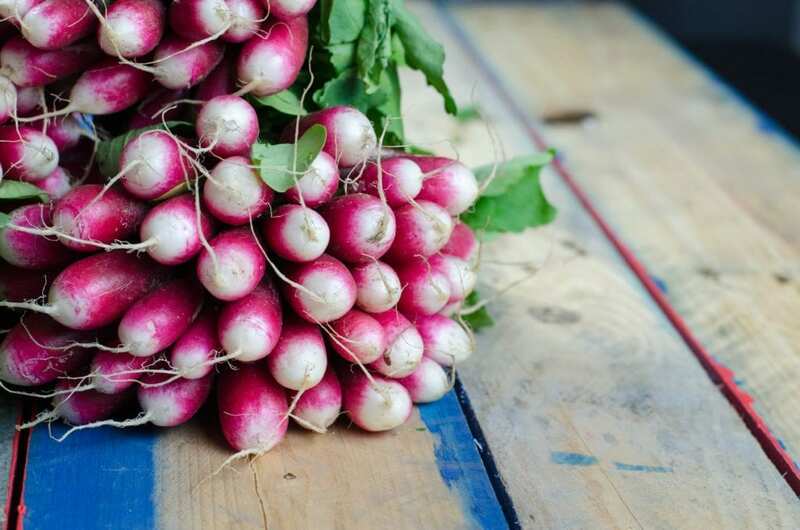 This one pairs apple radish fennel for a wonderful flavor combo. Trim a few fennel fronds to measure 1 tablespoon (for the dressing). Set the fennel bulb aside. Combine the Temecula Olive Oil, chives, lemon juice, vinegar, fennel fronds, ¼ teaspoon salt, and black pepper in a glass jar and shake ’em to combine. Cut your fennel bulb in half lengthwise. Cut into thin slices. Quarter, core and thinly slice your best apple. Place the fennel, apple, and radishes into grandma’s large antique bowl along with 3/4 of the dressing. Toss lightly to coat all. Taste to determine if you need more dressing. Salt and pepper.